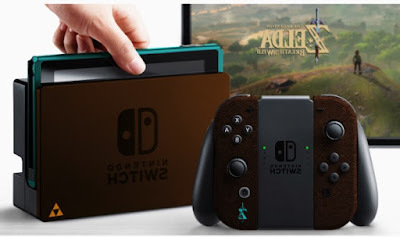 Its no news that Breath of the Wild is presently Switch’s biggest game at the moment seconded by Nintendo, it’s little wonder how majority of Nintendo Switch owners have picked up the game. According to a GameStop executive, Zelda’s attach rate is practically one-to-one. This means that nearly everyone who bought the console also owns Breath of the Wild. This is certainly good business for Nintendo as their all-famous game is attracting many people to the new console (The Switch). Well… on the other news, plans to upgrade the Nintendo eShops has commenced. This is because Nintendo has announced that their digital shops will be undergoing maintenance on the night night of April 3rd. All of Nintendo’s eShops will be impacted, including the Wii U, 3DS and even the Switch’s eShop. There will also be maintenance for the Wii Shopping Channel and DSi Shop. It will occur from 1pm to 5pm on the west coast of the US and 4pm to 8pm on the east coast. In the UK and Europe, time zones will result in the maintenance ending early in the morning hours of April 4th. In the UK, it will occur from 9pm on April 3rd to 1am on UK. Europe will see it happen from 10pm on April 3rd to 2am on April 4th. This announcement was made today on the MyNintendo web page. Have the best weekend !